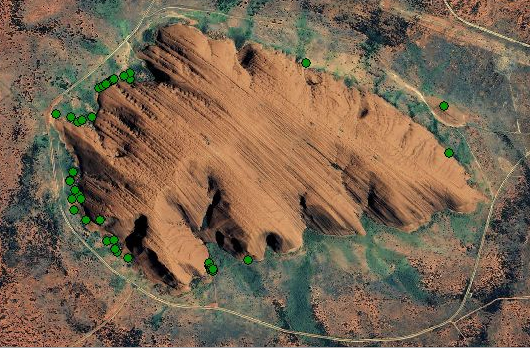 The Cultural Site Management System (CSMS) is a digital keeping place, used to store and catalogue a wide variety of information about Uluru - Kata Tjuta National Park cultural sites, including rock art sites and other areas of significance. It is also used as an operations management tool for the field work associated with cultural heritage management. The CSMS enables you to store information for places, areas and objects using data entry forms. These forms are comprised of one or many form elements that include text, dates, images, sound files, videos files, Word documents Excel spreadsheets and PowerPoint presentations. People using the system can record locations of rock art sites, rock holes and any other site or area of significance using an interactive map. For each of these places any number of forms can be stored. Information contained within the system is permanently archived and can then be accessed by any authorised user at any time.